PayPal is an excellent online payment solutions company, and accepting PayPal donations online is a great way to make it easy for your supporters to donate to you! Please note that I would personally recommend that you setup a free donation page on Go Fund Me or you use DoJiggy's Website Donation Software for all your online donations. They are both far better designed for online donation success! They are owned by eBay and have a excellent reputation for being a reliable and safe online payment processor. 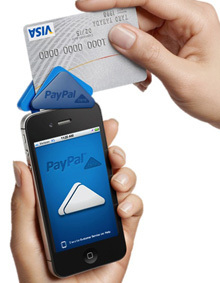 Thousands of online companies and stores use PayPal for all their payments and transactions. Not to mention the same for thousands of nonprofits and other organizations who are fundraising. One of the things that makes it so beneficial to use them, is that a large majority of web users have accounts with them, and it therefore makes it very easy for them to make donations to you! You will firstly need to set up a PayPal account, which is a simple thing to do. Go to their website, and click on "create account" and then follow the steps. You will want to open a business account and if you are a registered nonprofit you will want to specify that. Once you've opened an account, you will be able to link your bank accounts to your PayPal account and transfer money between the two conveniently. You will then also be able to create donation buttons and links which you can place on your website and email newsletters to make it easy for your supporters to donate to you. Direct your supporters to your website to donate, or if you run a Facebook campaign you can direct them directly to your PayPal page.